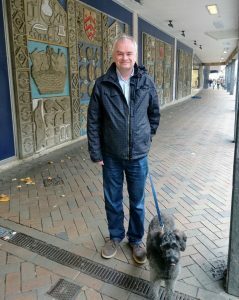 The future of the three concrete art panels on the front of the former BHS shop in Eastgate Street is under question. A planning application by Reef Estates to remodel the shop front has been deposited with the city council. It will include the removal and relocation of the three concrete art panels currently on the front wall of the store. Liberal Democrat councillor, Jeremy Hilton has written to the council asking for the art panels to be safely removed and relocated. “It is most important that the three concrete art panels are preserved. The city council and Reef Estates must agree on how the panels are to be removed and relocated before planning permission is granted. We don’t want a bodge job being done. 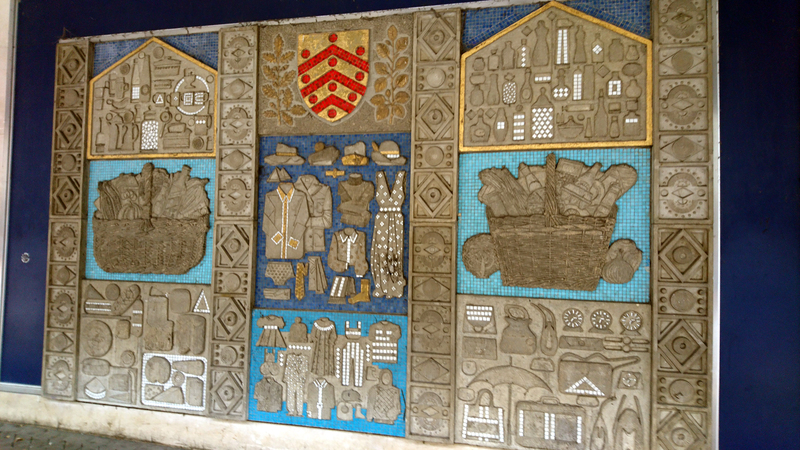 “The three concrete art panels are about 45 years old and depict the goods on sale in the shops at the time. This is good public art and very much of its time. They must be retained and displayed in the city centre. Similar art panels have appeared on other BHS stores around the country in towns such as Stockport and Newcastle-Upon-Tyne. “I believe Gloucester panels are the work of Joyce Pallot (1912-2004) and Henry Collins (1910-1994) – two artist/designers, who along with John Nash, established the Colchester Art Society, during the 1930s. Plans to rename Gloucester a royal city have been condemned as a “marketing gimmick” by Liberal Democrat councillors. The city council is considering whether to petition the Government to become The Royal City of Gloucester. Council leaders will not press ahead with the idea if local residents are against it. 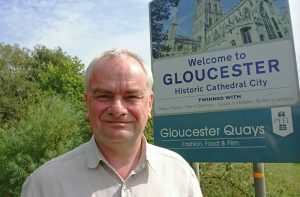 Councillor Jeremy Hilton, local Lib Dem leader, is against renaming Gloucester saying council bosses have not given any details about the costs of rebranding the city. “It’s a marketing gimmick, pure and simple, and will make no difference to the people of Gloucester. It would be disrespectful to the Queen to seek royal status just as a marketing ploy,” said Councillor Hilton. “Tourists flock to Gloucester for the cathedral, the docks and 2,000 years of history. Putting ‘royal’ in the title is not going to make a jot of difference to that. 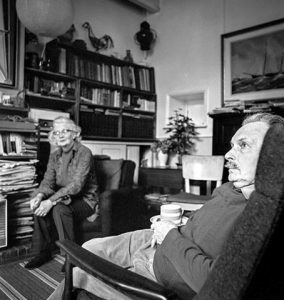 “Instead of wasting his time renaming Gloucester Paul James should focus on regenerating the city centre. “Kings Square is a mess, too many shops lay empty and the subway under the railway station is an absolute disgrace. The city is covered in litter and we have no decent public toilets. Gloucester has a rich royal heritage – Edward II is entombed in the cathedral and Henry III was crowned King in 1216. “But Gloucester’s most recent royal connection was in 1643 during the Siege of Gloucester when the forces of King Charles I lay siege to the city,” said Councillor Hilton. “The Parliamentary forces successfully withheld the King’s onslaught to prevent Gloucester from falling. Fifty people lost their lives or were wounded defending the parliamentary cause from 10 August and 5 September 1643. This is now remembered each year with Gloucester Day, which takes place on the first Saturday in September. We should be proud of our history and our defence of parliament.